The Salinas and Monterey area is known for wine and agriculture. Our beautiful coastlines, striking scenery, and wonderful wineries draw tourists and wine-lovers by the dozens. This is great for creating a solid economy, but in the midst of so many businesses, how do you attract people to yours? A great sign can help. Your sign represents everything your business stands for. Also, it will be the first thing that a visitor sees when they drive by. That makes it vitally important for creating a good first impression. You want to stand out, so that they remember you as the business that caught their eye, and you also want to clearly convey your values and expertise. 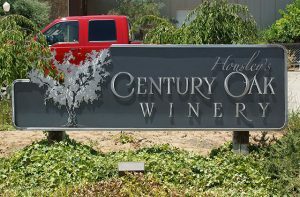 So what makes a great winery or agriculture sign? Let’s get into the guidelines first. You want to pick colors and shapes that catch the eye, but keep it relatively simple. A confused, cluttered sign won’t be as interesting as a few well-chosen words and images. It’s okay to use some standard conventions of the genre; you don’t want to be unprofessional or eye-searing. However, make sure you’re adding your own unique flair. Otherwise, you’ll lack memorability. Why bother having a sign if it’s boring? So what processes do you use? That depends on what you need. Signs by Van offers custom paint, which is a great way to add color and interest to your sign. If you want a paint-only sign, murals are also a stunning way to draw attention. A well-made mural can show what your business does in a way that few other signs will. On the other hand, if you want to add a sense of richness and elegance, consider gold leaf. Good gold leaf can last fifteen to twenty years, so it’s a great investment to make your sign shine. There are 3D options, too. You can add a carving, which adds a tactile element of interest. 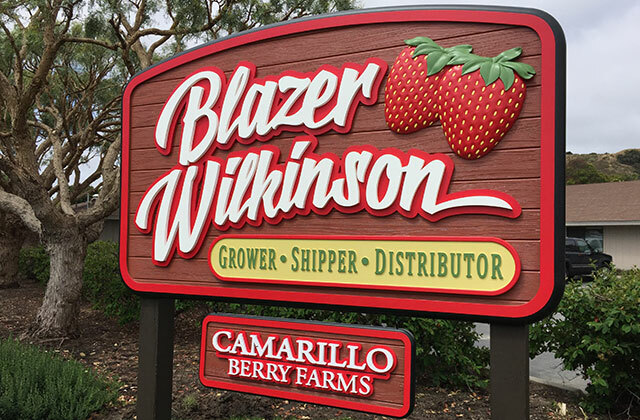 Bas relief or three-dimensional carvings both make your sign stand out. Dimensional lettering makes your text pop; even though your visitors probably aren’t going to touch them, their tactility draws attention. 3D routing is another good option for creating distinctive shapes that have a unique silhouette. So, too, is metal fabrication. At Signs by Van, we can mix and match all of these options to give you exactly what you need. Additionally, make sure you’re going for quality materials. For instance, if you want your sign to hang from an iron bracket, you’ll want a great, well-made one. Elegant shapes and solid, high-quality iron are a must. If you’re using a wood and paint sign, make sure it’s done well and that the letters are crisp and clean. It may seem obvious, but not everyone follows good advice. Skimping on your sign is never a smart idea; go for the best. It’ll be worth it. To sum all this up, keep in mind that your sign is the first thing people will see about you. Get good materials, and tailor your concept to your business. Flat or three-dimensional will both make an impression, and you have plenty of options for both, but be sure you’re picking something appropriate. Choose bold colors, but offset them with enough space not to make your sign feel crowded. Add a touch of originality to make your sign unique. Finally, have fun with your design! You want customers to know that you’re worth looking into. If you follow all those guidelines, you’ll end up with a great sign that draws visitors and boosts business. Signs by Van has been helping business owners to create effective signage for more than 33 years. You can schedule an appointment with an expert and create the perfect sign for your business. The phone number to the business is 831-663-2663. The process starts with you discussing the vision that you have for your business.The process ends when the specialist creates a sign that delivers prospective customers to your doorstep.